Electric powered vehicles are gaining a lot of popularity, which you may have noticed because we tend to feature a lot of them here on Jebiga.com. 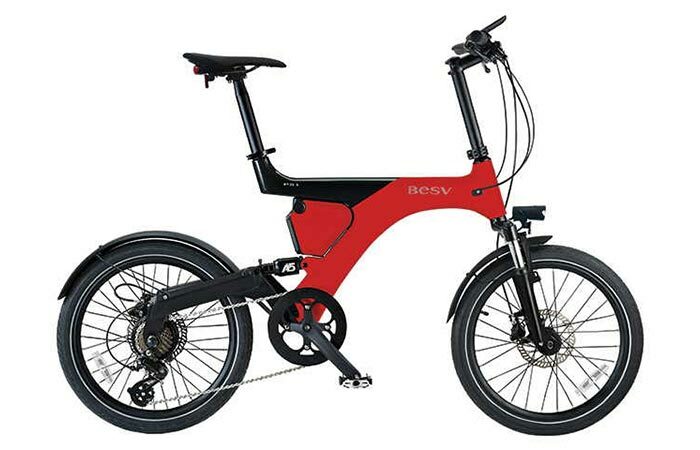 We’ve come across a new one, it’s called the BESV PS1 Electric Bike. 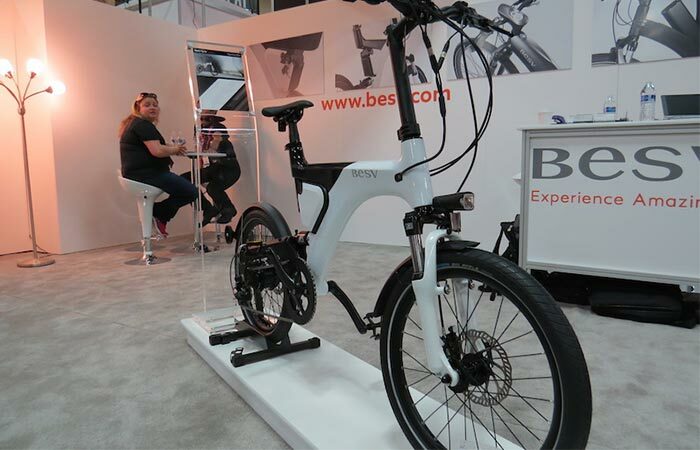 At first glance, this electric bike seems like a regular bike with a modern design, but its sturdy and minimalist framework hides a lot of very neat features, one of them being the extremely powerful Sony premium battery which provides juice to the entire setup. Lightweight and easy to use, this bike has been awarded with many prestigious product design awards which serve as the best possible testament to its potential. Because this is a power-assisted bike, you’ll still be required to pedal, but, for those moments when the ride starts to get challenging, you can flip the power on and enjoy the benefits of having 60 kilometers of power-assistance. This e-bike uses an Algorhythm power drive system which calculates for itself just how much power is required for an optimal performance and the smoothest of rides. Say you stumble upon a steep incline during your ride and you just don’t feel up to it. Well, the PS1 can do the job for you and provide you with the necessary power output. You can use one of 3 assistance modes, depending on how much help you require from this e-bike. The entire motor is located in the back wheel and the powertrain is seamlessly integrated into the framework so there are no protruding parts or cables around. The placement of the battery follows suite and appears as a high tech saddle suspension system. To make the entire setup more appealing to potential customers, the PS1 is available in three colors: red, white and yellow. The display which shows the UI is pretty large for one good reason. An interface this big allows you to clearly see all the info you require so that you don’t spend too much time looking at it and not the road. This makes using the entire interface much easier. Along with the 3 assistance modes the PS1 boasts, it has an additional one which works in a slightly different way. 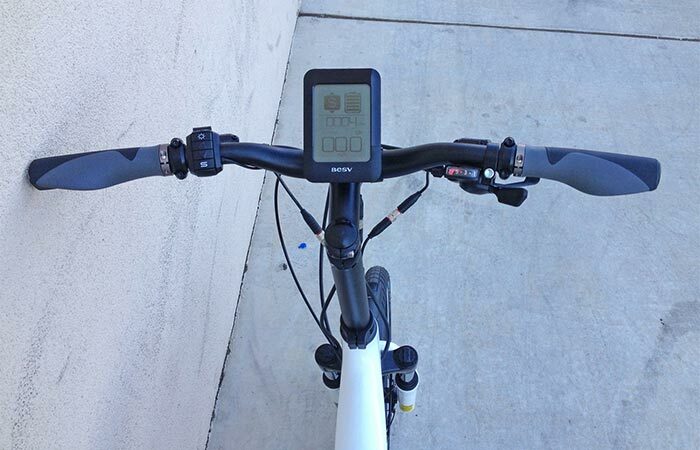 It’s called Smart Mode and with it, both the riding conditions and your pedaling power are taken into account when setting the level of power-assistance. With this mode, the power-assistance level will change on its own as you ride to make sure that everything goes smoothly. Designed for the urban commuter and all who would like to avoid possible traffic jams, the PS1 has received several prestigious awards: the Taipei Cycle d&i Gold Award, China Cycle Creative Award, Japan Good Design Award, Golden Pin Design Award in 2014 and this year’s German Red Dot Award. If you had any qualms about this e-bike being worthwhile, this will remove all doubts about its performance. As for the design, you can see for yourself that it’s pretty easy on the eyes. Take a look at BESV’s promo video for the PS1.